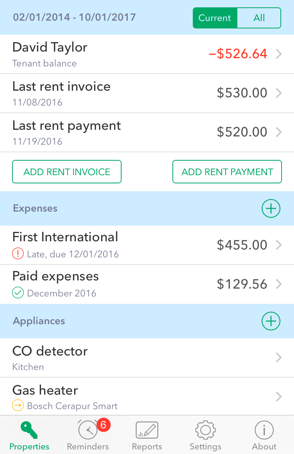 Landlordy is a property management app for landlords in the smartphone world. Integrated with iPhone/iPad camera, email and messaging features, Landlordy helps you be a better organized landlord. Landlordy is made for homeowners, buy‑to‑let real estate investors and residential property managers managing small portfolios of apartments, multifamily homes or vacation rentals. Always up to date in your pocket or purse! Manage information about properties, tenants and rent fees. Keep important notes like contact information, related photos and documents organized and easily accessible. 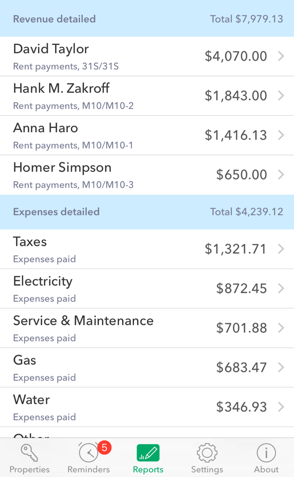 Track rent payments on the go and get detailed tenant balance and payments history. Landlordy supports partial payments as well as advance payments. Register your expenses in seconds and keep them organized. 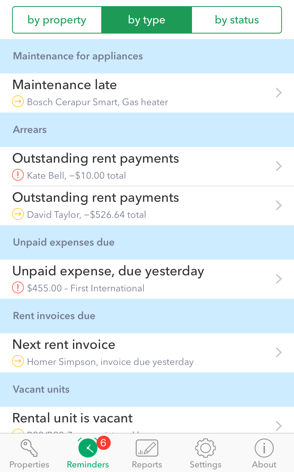 Easily add photos of expense receipts using camera or attach your existing files/images. Manage data and related documents on your property appliances like furnaces, smoke and CO detectors. Keep track of appliance safety checks and maintenance records. Get reminders for outstanding payments and expenses due, know in advance when existing rent agreements has to be renewed or appliances require safety checking / maintenance. Get instant financial report on your rental income and expenses for any individual property or all of them. Easily share financial data and related documents/photos with your accountant. Quickly email/text payment receipts, rent invoices or expenses to tenants or your accountant. Print or share reports via email, messages or via other mobile apps that provides iOS sharing extensions (e.g. WhatsApp). Manage your rental business on the road or from the beach. Have access to all information on your rental business and related documents few touches away, day or night. Set up your first property in less than minute. If you are using iOS apps you already know how to use Landlordy, no training or manuals needed. But if you need help, we have you covered. Optimized document camera that provides document detection and b&w mode that saves space on your device. Special keyboard that supports simple calculations. Drag & drop support for photos and PDF attachments. And more. From basics to details, Landlordy is designed to be the best property management app for iPhone, iPad and iPod Touch. Just ask our users. 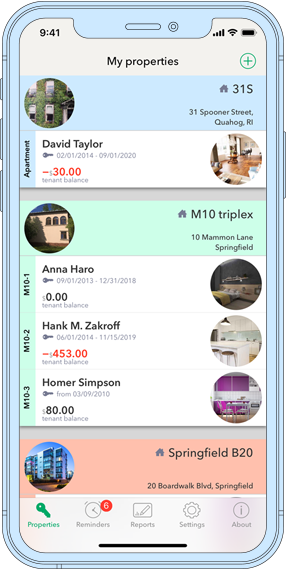 Download free version to make sure Landlordy fits your needs, unlock Personal Edition features (one time in-app purchase, no subscription fees) for unlimited number of tenants/properties, customization, data export and Dropbox backup/restore. Sign up for app news and special deals! E-protect will use the information you provide only for delivering Landlordy newsletter using our newsletter service provider (see below) and your data will not be shared with other companies or services. You can unsubscribe at any time.